Home/Asia/Thailand travel: which island to choose? First step (if you have not already done so): book your ticket to Bangkok ! The second ? Choose the island of Thailand on which you will stay once your journey through the center and the northern mountains completed! We have therefore concocted a special guide to make your job easier by bringing together the most beautiful islands in Thailand. On which island of Thailand to stay? First of all, be aware that the season you will be visiting Thailand is crucial. 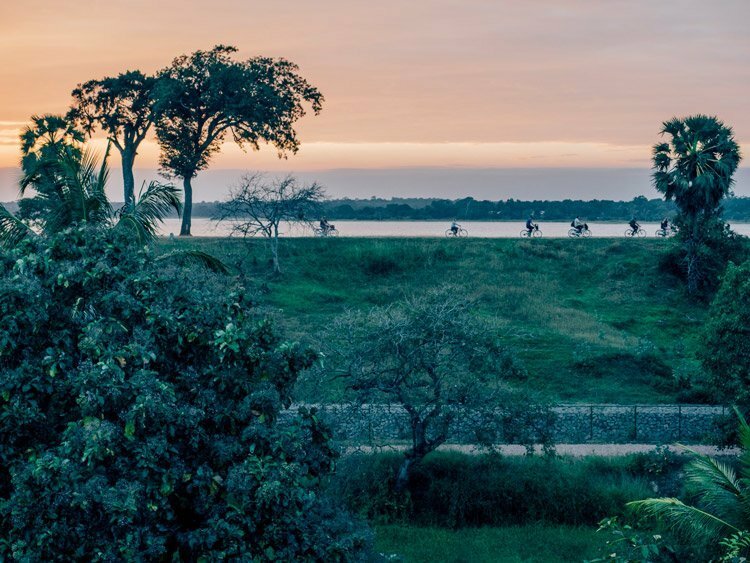 The country has a humid tropical climate with heavy rainfall and it may be wise to choose an island depending on the season you travel. 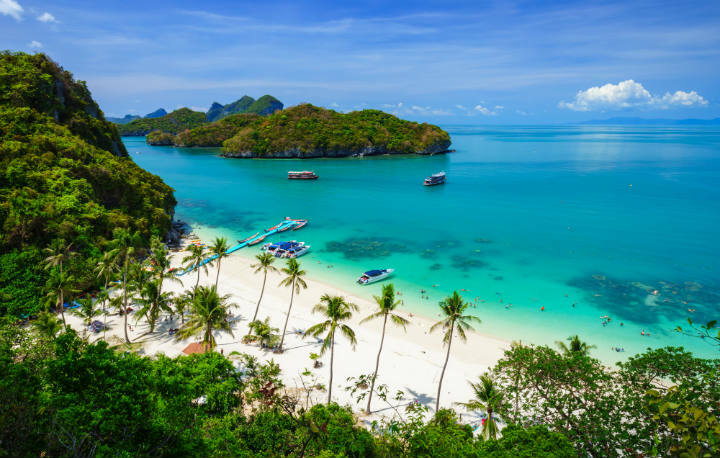 As the summer months are rainy all over the country, we recommend visiting Thailand between November and February to enjoy the sunshine and pleasant temperatures. However, be aware that the islands of the Gulf of Thailand and those of the Andaman Sea do not have quite the same climates. On the east coast, the rains are significant between September and December while it is between April and October that typhoons and other heavy rains are more frequent on the west coast. Are you going to Thailand between January and April? 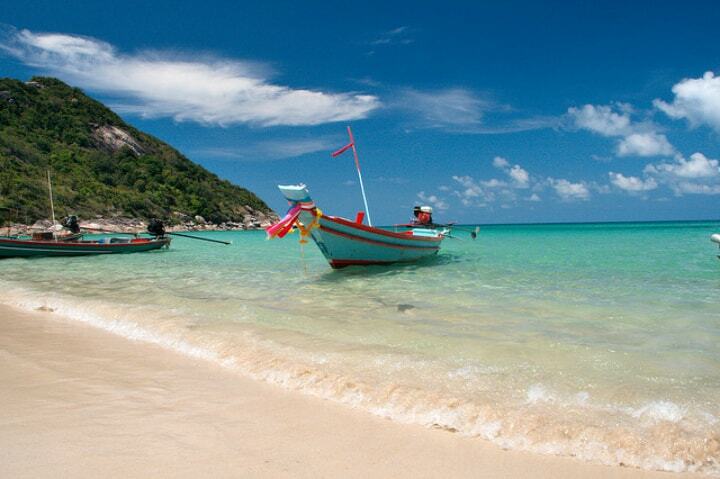 Head to the islands of the Gulf of Thailand! Thailand’s third largest island, Koh Chang (Elephant Island) is located near the border with Cambodia. 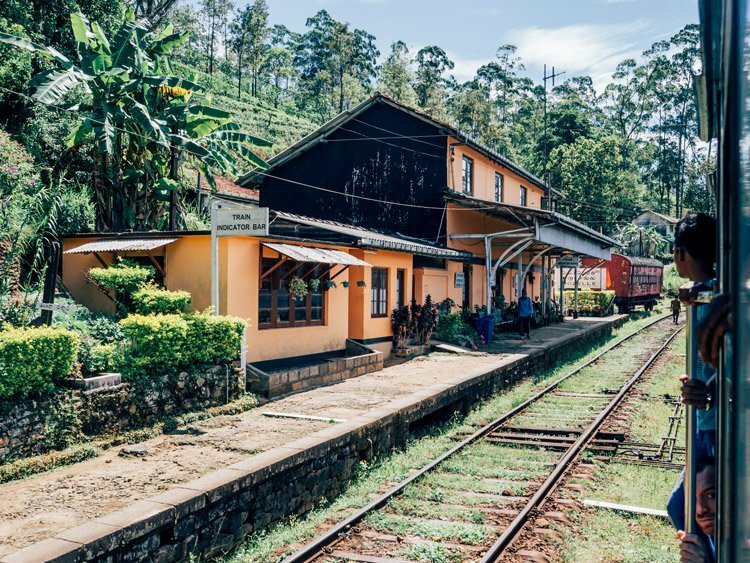 Very mountainous, it remains relatively untouched by the mass tourismthat rages in the south of the country while having beautiful beaches and hotel facilities of good level, as well as bars and discotheques nice to party. It is perfect if you are staying in Bangkok or plan to continue your trip to Cambodia! The inevitable! Accessible by boat from Surat Thani or directly by plane from Bangkok, Koh Samui is one of Thailand’s most popular islands. 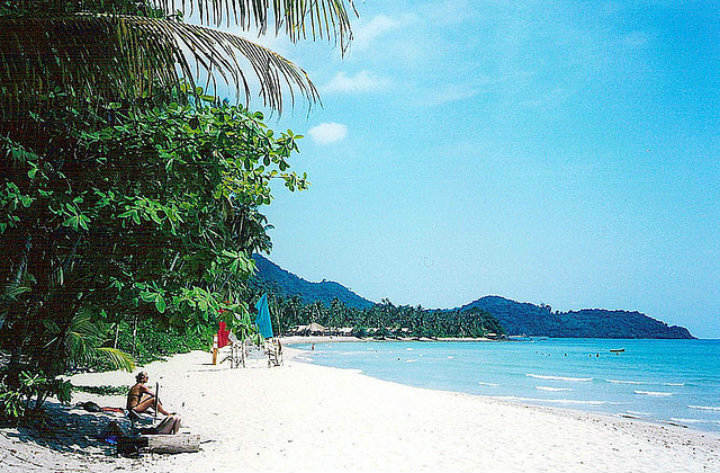 White sand and coconut palms but also great resorts await you in Koh Samui. It will appeal to all types of travelers in search of wild parties, a romantic hotel or a white sand beach for diving. 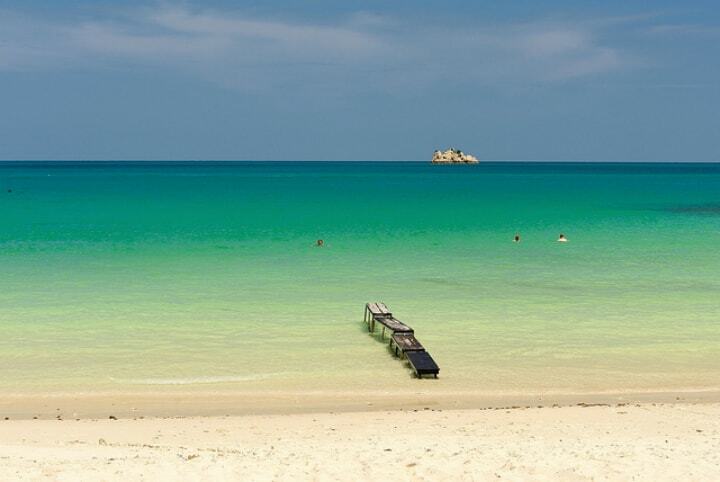 If Koh Phangan is the island of the famous Full Moon Party , it is far from being all that. If backpackers and revelers reign supreme in Haadrin, in the south of the island, the north side of Haad Salad is much quieter and lends itself perfectly to holidays as a couple or family. The center of the island also allows for pleasant hikes through the hills and waterfalls. In short, there is something for everyone! 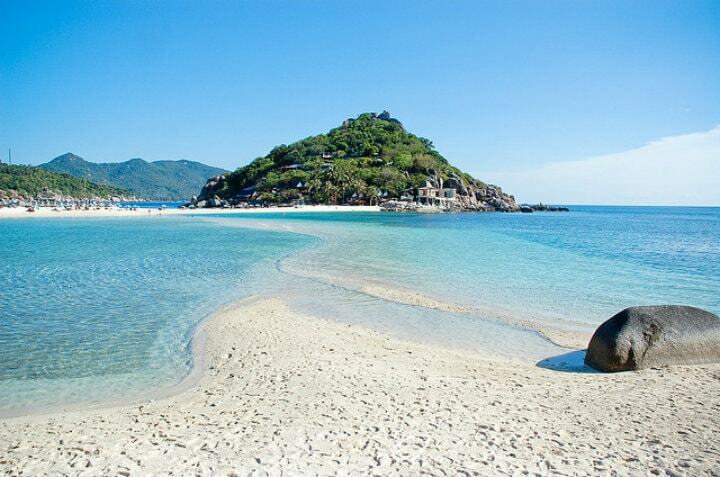 Often considered as a paradise for divers , Koh Tao is a true jewel of nature. Wilder than its neighbors Koh Phangan and Koh Samui, it is also bathed in a more relaxing atmosphere. Perhaps it is due to the greater distance that separates it from the continent? You will indeed have to add 2 hours of crossing from Koh Phangan. Are you going to Thailand between November and March? 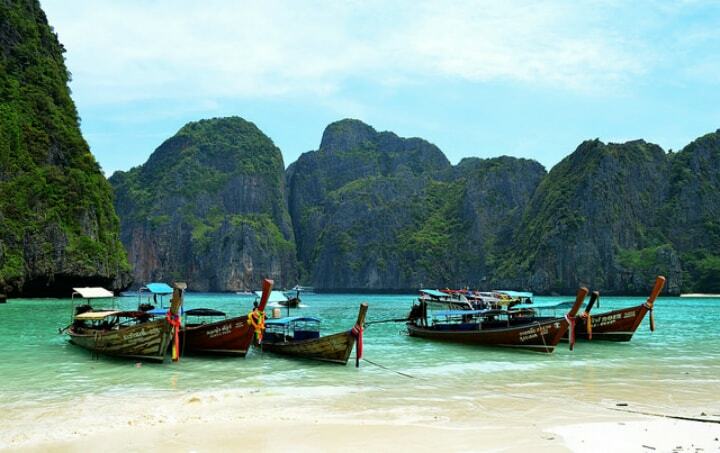 Head to the islands of the Andaman Sea! If Phuket is often criticized as a destination too touristy, it is still worth a look. As you move away from Patong, you will leave behind the crowds and discover beautiful beaches with a surprisingly quiet atmosphere! Another non-negligible advantage: Phuket is very easy to access . It is served by scheduled flights from Bangkok or Chiang Mai as well as international flights from Kuala Lumpur and Dubai . It is also an excellent base to visit other smaller islands like Similan National Park, Koh Yao Noi or the famous Phi Phi Islands! Hit hard by the tsunami, Koh Phi Phi has since rebuilt, offering today high quality services to visitors. But Phi Phi, it is especially a natural beauty absolutely striking , in particular on Phi Phi Leh, which shelters the famous Maya Bay made famous by the film The Beach . 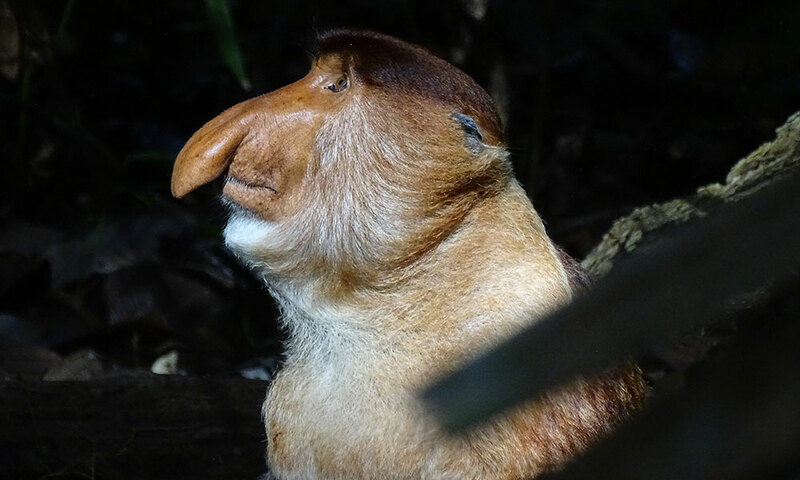 A big wow! 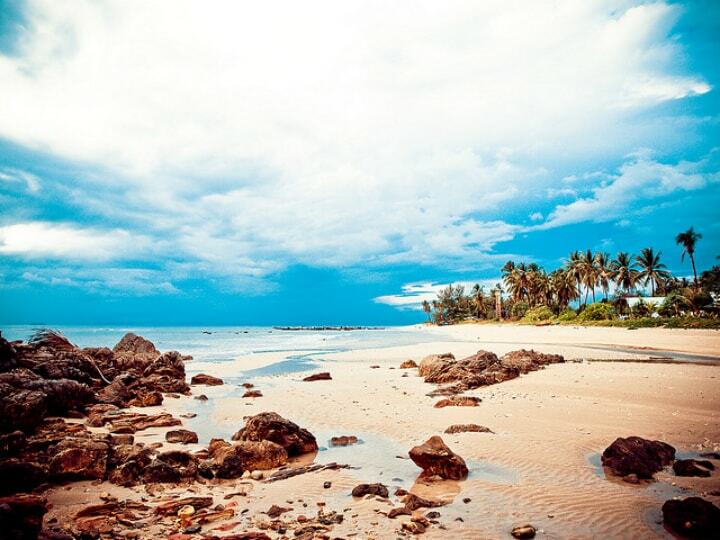 Contrary to what the eponymous show might have let us believe, Koh Lanta is not a desert island. It is even very well equipped and is perfect for holidays with family or couples! 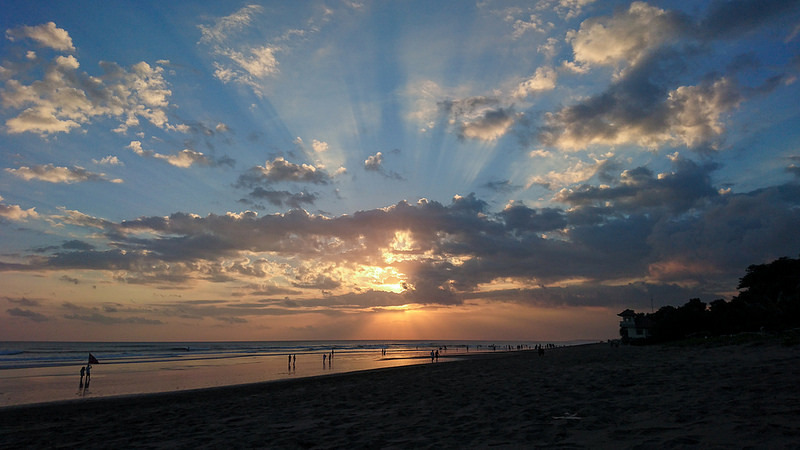 Quieter than Phuket, it is perfect for beach holidays, snorkeling and boat trips! The center of the island is also very nice, and the best way to explore all the corners of the island is still to rent a scooter and follow the road that goes around, you will discover pretty traditional villages! Less known than the other islands of Thailand, Koh Lipe is beautiful and remains quite preserved . 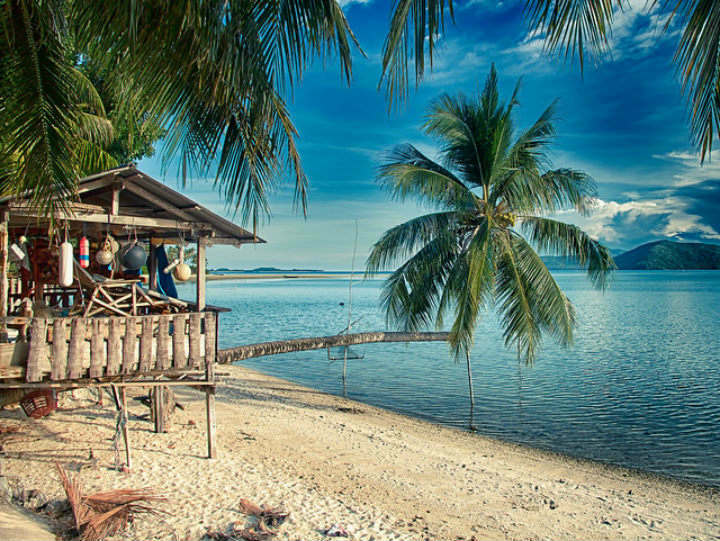 Located 60km from the peninsula, it is relatively close to the famous Malaysian island of Langkawi and perfectly matches the description of an island paradise: white sand, turquoise water and coconut trees. 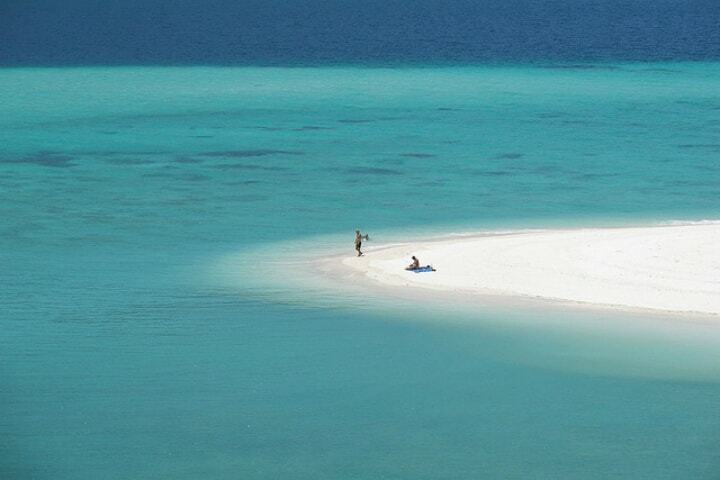 If you have some time in front of you and want to escape the hordes of tourists, Koh Lipe is your ideal destination! So, you made your choice? 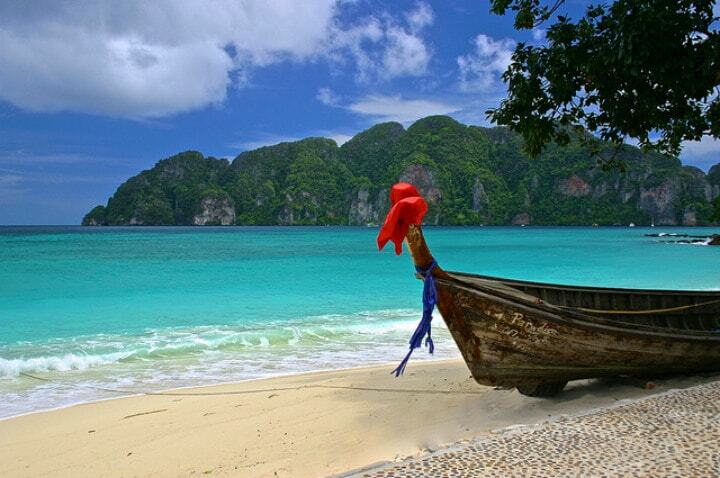 Feel free to share your impressions of the most beautiful islands of Thailand in a comment!